What is the SMCC Computer Commons? 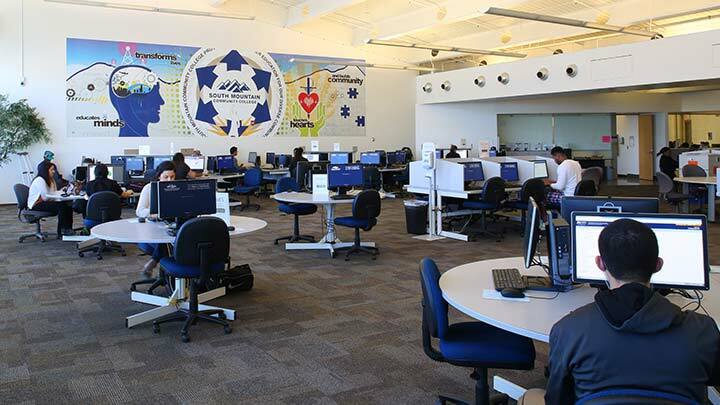 The Computer Commons is an instructional open-computer lab facility available to all SMCC faculty, staff and currently enrolled students. Tutors and staff are available to help you with technical support (various course related software/hardware questions), passwords and log-in, assistance with My.Maricopa.edu, and other computer-related issues. You can download a current Computer Commons tutoring schedule here. The open lab features nearly 100 Windows 7 computers on second floor of the Technology Center (TC Building) on the SMCC Main Campus. The facility also includes printers, a scanner, WiFi, and various course related software. 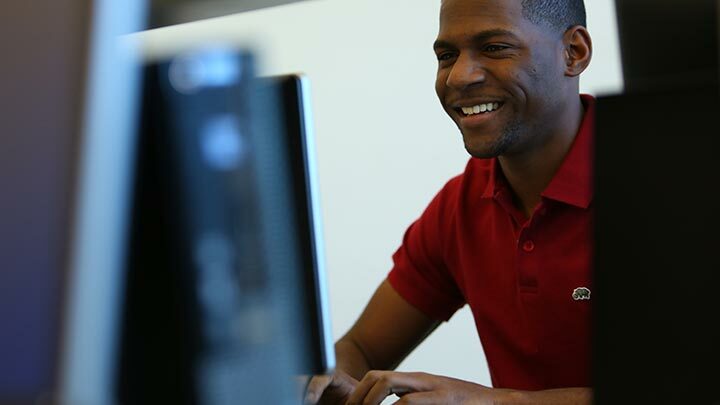 Monday – Thursday, 8:00 a.m. to 8:00 p.m.
Only current SMCC students are allowed to use the Computer Commons. 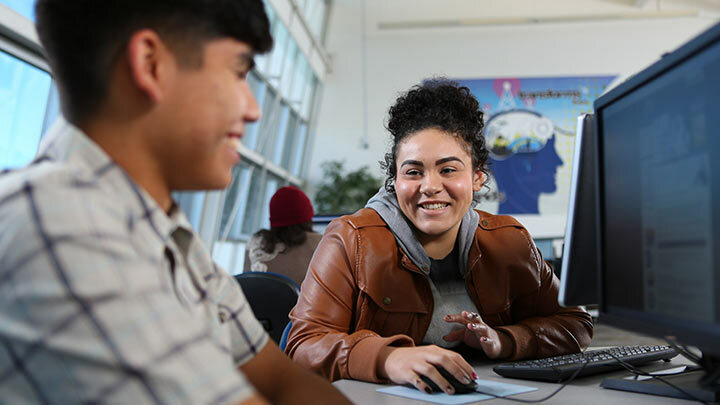 No one younger than 18 years old is allowed in the Computer Commons unless they are enrolled in the SMCC ACE Program, AAEC charter high school or an SMCC Dual Enrollment program. You must show a valid SMCC ID to use the Computer Commons. You will also need your MEID (Maricopa Enterprise ID) login and My.Maricopa.edu password to access a computer in the Computer Commons. Non-students may use computers at “The Edge,” the South Mountain Community Library public computer area, located on the second floor. Questions? Call the SMCC Computer Commons at 602.243.8048. Mon-Thurs: 8:00 a.m. – 8:00 p.m.
*Hours subject to change with holidays and trainings.